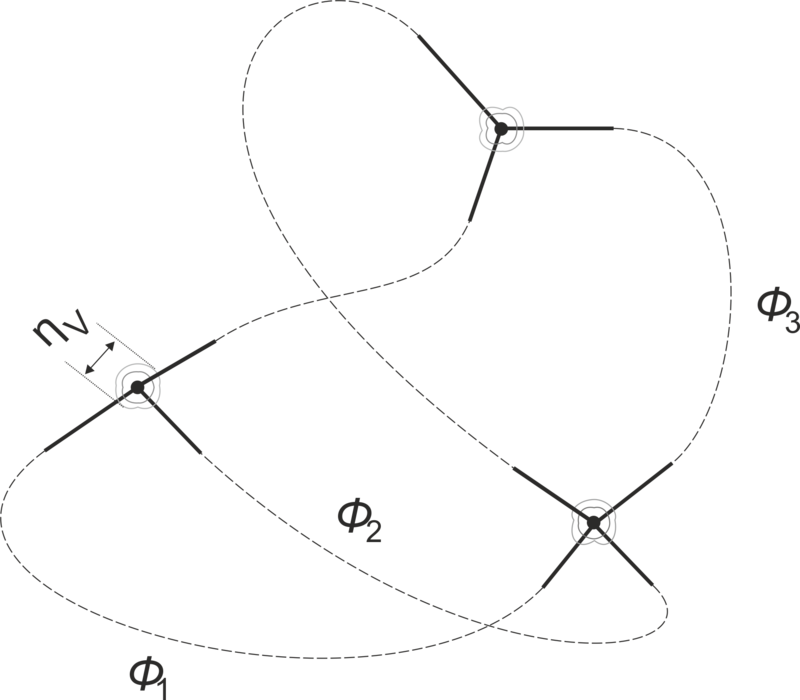 Scheme of a number of five quantum-phase-fields forming three elementary particles as junctions. The junctions and fields can be pictured as knots and ropes respectively, forming a multi-dimensional network. A monistic framework is set up where energy is the only fundamental substance. Different states of energy are ordered by a set of scalar fields. The dual elements of matter, mass and space, are described as volume- and gradient-energy contributions of the set of fields, respectively. Time and space are formulated as background-independent dynamic variables. The evolution equations of the body of the universe are derived from the first principles of thermodynamics. Gravitational interaction emerges from quantum fluctuations in finite space. Application to a large number of fields predicts scale separation in space and repulsive action of masses distant beyond a marginal distance. The predicted marginal distance is compared to the size of the voids in the observable universe.